Although there is a widespread belief that uneven voter turnout leads to biased outcomes in American democracy, existing empirical tests have found few effects. 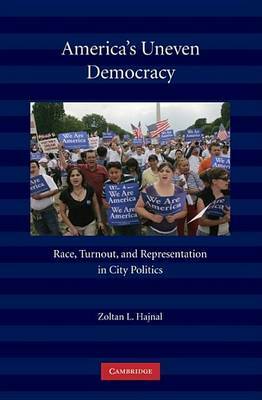 By offering a systematic account of how and where turnout matters in local politics, this book challenges much of what we know about turnout in America today. It demonstrates that low and uneven turnout, a factor at play in most American cities, leads to sub-optimal outcomes for racial and ethnic minorities. Low turnout results in losses in mayoral elections, less equitable racial and ethnic representation on city councils, and skewed spending policies. The importance of turnout confirms long held suspicions about the under-representation of minorities and raises normative concerns about local democracy. Fortunately, this book offers a solution. Analysis of local participation indicates that a small change to local election timing - a reform that is cost effective and relatively easy to enact - could dramatically expand local voter turnout.